Not everyone loves to cook. A lot of my patients tell me they dread the chore of making meals. That’s a tough lot, since we need to eat at least 3 meals a day. I personally enjoy cooking, but sometimes I don’t have a lot of time to put together elaborate meals. 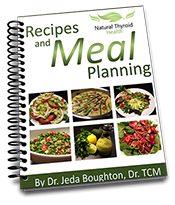 So I created this meal planning guide for great tasting thyroid healthy meals that don’t require a lot of time or energy. 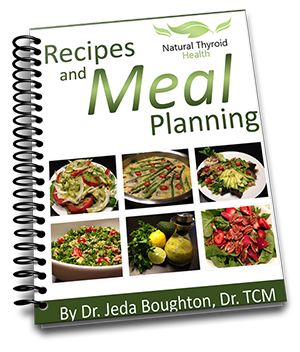 These recipes are designed to support your thyroid health and help you plan ahead and make great food choices. 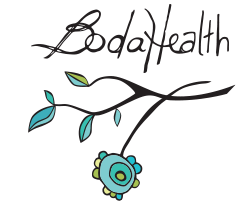 They can be eaten for any meal, including snacks, and the majority are designed to have an optimal balance of protein, fat and carbohydrates. I also included ideas for ingredient variations to help you use one recipe to create a variety of meal options. For example, the frittata can take on different flavours if you change two of the vegetables. I also included a recommended grocery checklist on page 6 that you can print off and use it when you go grocery shopping. This will help set you up for success, especially if you spend a few hours a week planning your meals and grocery shopping for the ingredients.